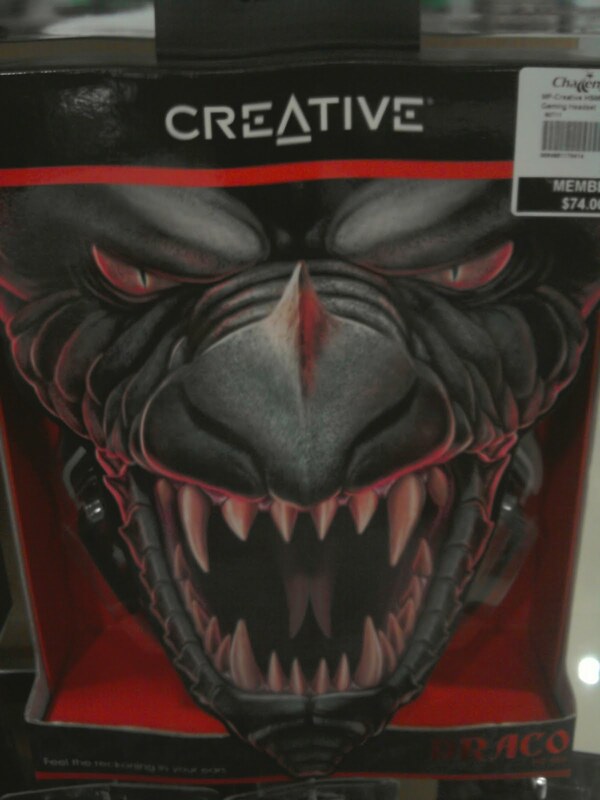 I was attracted to the fierce looking dragon-like face on the cover of the gaming headset box. Well, on a closer look, it turns out to be another of Creative's exciting gaming headset. 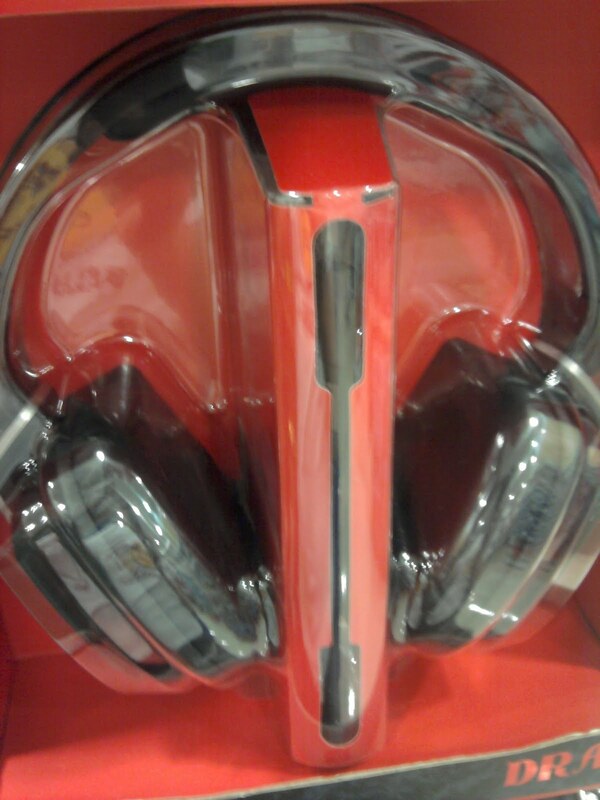 It's name is Draco HS-850 gaming headset. These are some snap shot of it using my mobile phone. Draco Creative HS-850 Gaming Headset provides a sound so real you are busy in a different reality in a short time. Designed and developed by top sound designers and game, large Neodymium drivers produce low explosive which will seduce you, while its size circumaural ear pads made of soft leather for comfortable use. For convenience of travel, both fully adjustable earpieces for easy storage and spend listening to music, you just have to take a noise-canceling microphone and use it as a pair of headphones. Feel the game expand all around you with Draco HS-850. Let the battle begin! From the look of it, it seems like the Draco is a lower end gaming headset which will not cost as much as the Sound Blaster Tactic3D Sigma or the Sound Blaster World of Warcraft Headset. You expect a press release for a standard headset? that is the fugliest box i have ever seen.